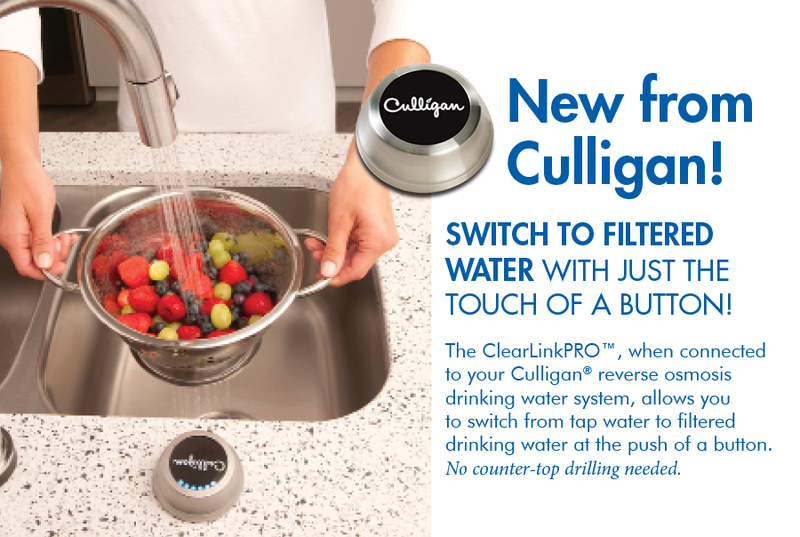 ClearLink PRO™ utilizes wireless technology to switch the main faucet between unfiltered and filtered water. For filtered water, turn on the cold water, push the ClearLink PRO™ button, and in a few seconds you have RO water at the main faucet. When you’re done, simply turn off the water and the system will automatically divert back to unfiltered water, ensuring you do not waste filtered water.